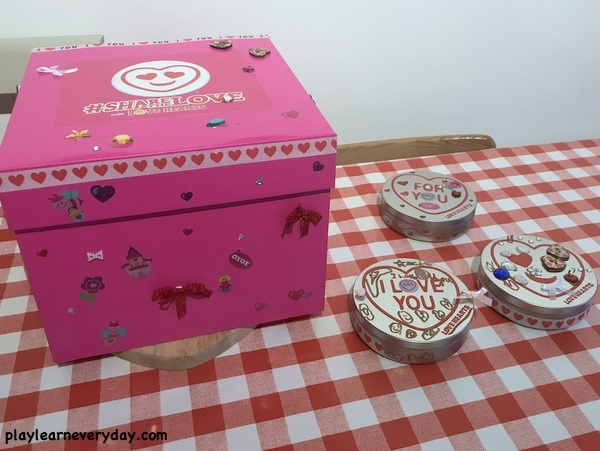 We were sent a lovely hamper full of Love Hearts for Valentine's Day from Swizzles, and we were asked to get crafty with the box that the sweets come in, as well as the adorable Emoji Love Heart tins! We couldn't wait to get started! 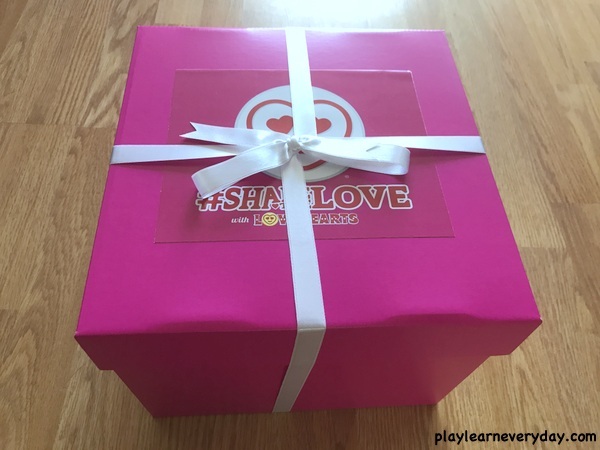 First I just showed the children the pink box all wrapped up and asked them to decorate it. They got stuck right in and started sticking little hearts all over it. 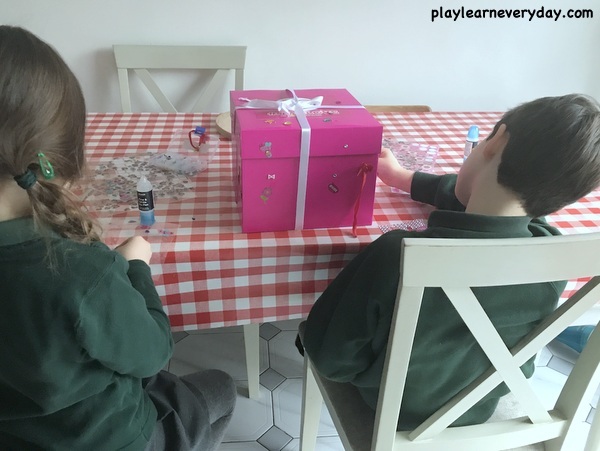 It's such a great simple crafty activity to do after school one day. I had everything set up for them when they got home, they didn't need any instruction and just got right to it! Then when they were finished with the box I finally let them open up the ribbon to see what was inside! Obviously I told them that all of the sweets are for Daddy, ha ha! But Ivy still had a good count and did an inventory of what was inside, she seemed to decide that there was enough for all of us! 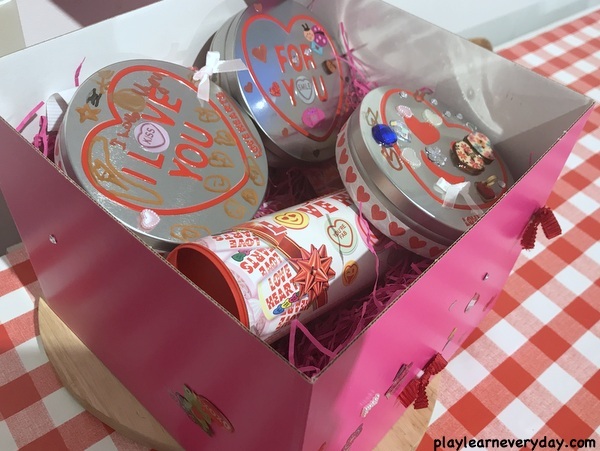 I gave them each a tin to decorate (and whispered to them that they were making them for each other) and that I was decorating one for Daddy. 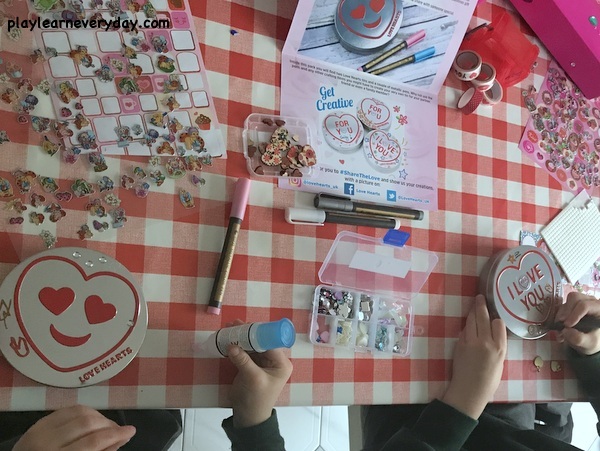 We used the metallic pens to draw on the tins as well as adding more stickers and sparkly bits to make them look fabulous! 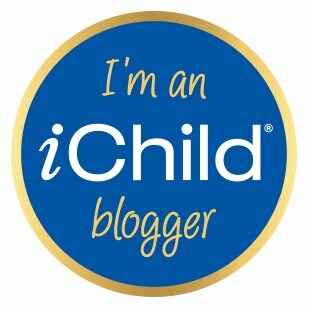 I love how personalised this gift is now! The kids are very sweetly not telling Daddy what we've made for him (but of course asking every day if they can eat the sweets yet!) 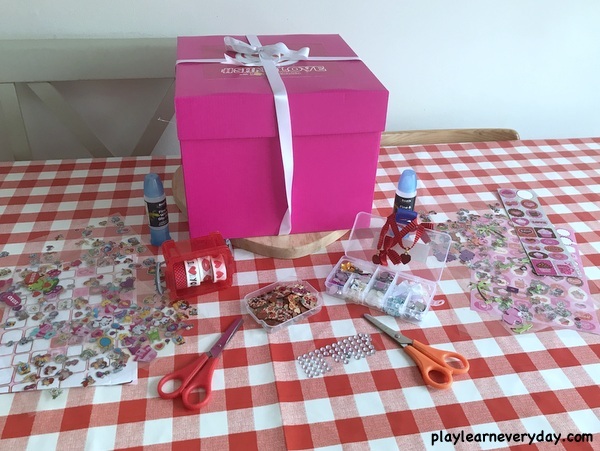 It's such a simple way to make a lovely gift even more thoughtful and to keep the kids busy for a little while with a simple craft activity.